Truth by Kbaig: Stop Insulting Pakistan and Pakistanis…! Stop Insulting Pakistan and Pakistanis…! What will be more insulting for Pakistan and Pakistanis that a court of USA has issued summons to ex and present Chiefs of ISI? Although these summons have no value. But will not this act of American court support on going propaganda against Pakistan? Or American govt./foreign ministry were unaware that successors of Jewish couple murdered in 26/11 Mumbai attacks have registered a case in American court? On this basis judge has issued summons to present Chief of ISI Shujaa Pasha, ex-chief Nadeem Taj, two officers of army Major Ali and Major Iqbal along with leaders of Lashkar-e-Taiba Zaki-ur-Rehman Lakhnavi and Hafiz Saeed of Jamaat Dawaa. We imagine that American officials were unaware from the activities of Brookline Court. 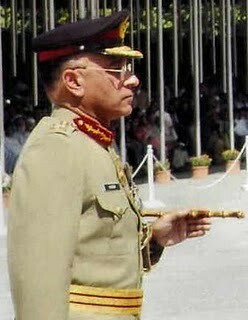 However when in last month the reports were issued that there are possibilities of issuing summon to the Chief of an extremely important institution responsible for safety of Pakistan, then American rulers always pressurizing Pakistan to “Do More” in spite of resisting any such act kept purposely silent. In reaction to American court’s summons the family of an innocent Pakistani killed in Drone attack filed a case against higher officials of CIA and also requested to stop him from fleeing out of Pakistan for murder of innocent Pakistanis. After this with the haste Jonathan left Pakistan shows that his further stay might have resulted in his arrest or other problems for CIA. However his leaving Pakistan like criminals cleared it to the whole world that CIA is involved in illegal activities in Pakistan. The statement given by Prime Minister of Pakistan after the summons from USA court also needs attention. He had issued that statement in response to Opposition’s protest in parliament, Prime Minister said, “The Chiefs of ISI will not be sent to American court without their will, if they do not want to go to America no one can force them to go”. However this is a separate discussion, but the summons to Shujaa Pasha or Nadeem Taj is just a routine court activity? Or this is just to ensure Indian supervision in the region, force Pakistan to step back from Kashmir dispute and accept Indian role in Afghanistan? Now let us come towards Mumbai's Nariman House and its inhabitants, they are trying to involve ISI in murder of those inhabitants. 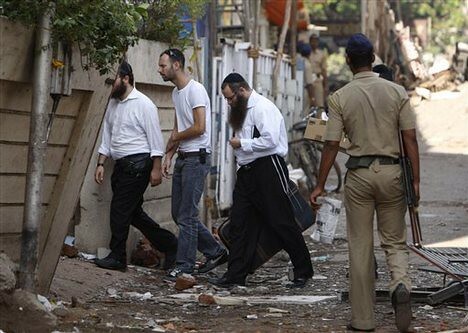 According to careful calculations Jews living in India number approximately to 6000 out of them 90% live in Mumbai. Mostly they are linked with education. The education standard of their schools is much better so that rich families from other provinces prefer to send their children to these schools. In the South of Mumbai on a coastal belt in well inhabited area the construction of Nariman house was completed 29 years ago (Jews call this building as “Chabad”). Nariman has been center of suspicious activities since last 29 years. Even the nearest neighbor’s are ignorant that this 6 storey building is being used for what purposes? 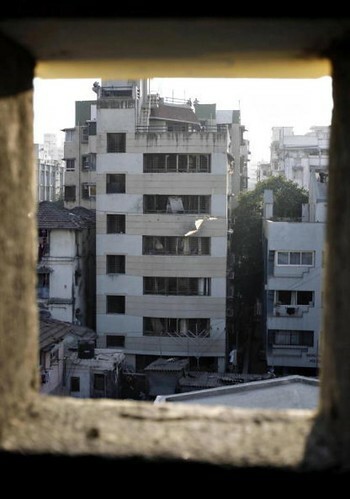 Neighbors have been told that Nariman house is a cultural center which is used to serve tourists from abroad. However neighbors were aware that as night falls Nariman house awakes. When tourists came there and when they left, no one knew that. 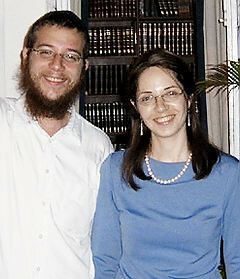 Neighbors also knew that young Jew “Rabbi Gavriel Holtzberg” and his wife “Rivakh” are supervisors of the house and they are responsible for providing accommodation and food to tourists. 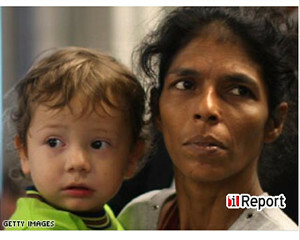 Besides couple a maid “Sandra” also lived in house, she was responsible for taking care of their baby “Moshe”. 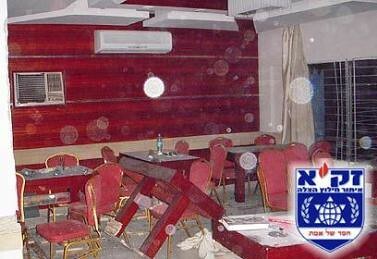 According to journalist community media has been always kept in chaos about Nariman house, what happens there? When few journalists entered in this building on being invited by jews from USA, they tried to take some pictures they were stopped from doing so by saying, “In this way terrorists might be able to know the internal layout which will be beneficial for enemies”. When journalists asked who are those enemies, they changed topic. Journalists were further told that no one is allowed to take pictures even from outside. The journalists who visited this building included “Virendra Ghunawat” from local TV channel. On 27th November 2008 when he was informed about attacks on Nariman house he went their along with his cameraman, the attacks have been launched about 24 hours ago. 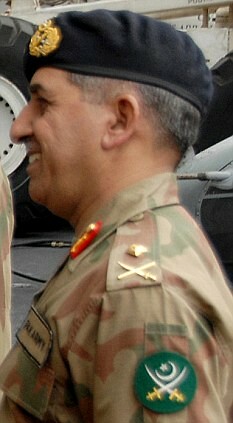 Building was under control of terrorists and Indian Commandoes were planning to enter into the building through helicopter from the rooftop. The police was standing at a far point. A good number of media personnel was present there. When Virendra started talks with local people a fisherman named as Vathal Tandal told him, “few days ago on the front coast of building 7 boats stopped, there were about 12 persons with harsh looks. They all were looking as local BHAI Log (Mumbai underworld persons). Boats were filled with different sized boxes and bags. They were first of all shifted to coast (Vathal Tandal helped them in unloading) afterwards they were shifted to Nariman house. Until all of the luggage was not shifted to the building few persons kept on guard”. Fisherman was astonished that all those persons riding on these boats might have been terrorists and possibly the luggage consisted of their ammunition. Fisherman raised this question to “Virendra”. This conversation was also heard by other journalists. The conversation with fisherman was uploaded to different Indian News Websites. Vriendra also issued this conversation in the article “Mumbai Attack: Was Nariman House The Terror Hub” on a website named as “Mid day”. Virendra also included the conversation with a policeman who told gave him this information on the condition of keeping his name secret. Read in the own words of Police man. “The role that Nariman House is coming to play in this attack drama, is puzzling. Last night residents ordered close to 100 Kilograms of meat and other food, enough to feed an army or a bunch of people for twenty days. Shortly thereafter the ten militants moved in, obviously indicating that the food and meet was ordered, keeping their visit in mind”.